Running in Bangalore, India. 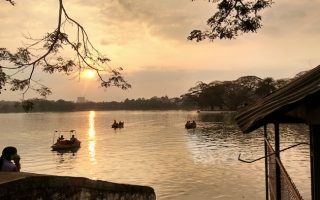 Best routes and places to run in Banglaore. 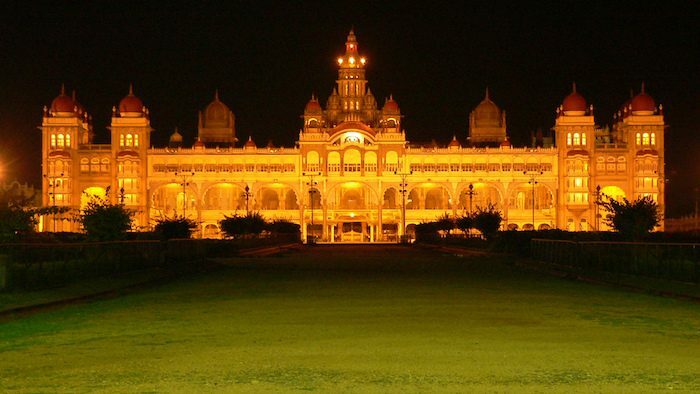 With a population of nearly 12 million, Bangalore is India’s fifth largest city, alternately referred to as the “Silicon Valley of India” and “Garden City of India”. 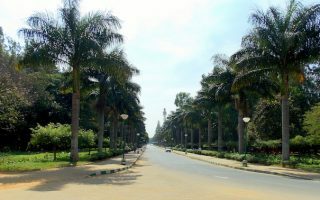 With its wide boulevards, greenery, parks, and altitude at 3,000 feet allowing for cooler weather, Bangalore is arguably India’s best major city for running. But, given the crowds, density, and traffic, you can’t just walk out your hotel or office door and go for a casual run. It’s best head to one of the generally designated spots for running in Bangalore. 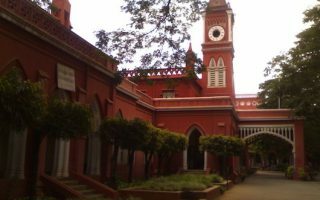 For parks, the best places to run in Bangalore are Cubbon Park (the city’s Central Park), the gardens of Lalbagh, and Lakshmi Devi Park. 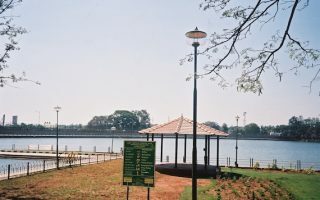 There are also good perimeter loops around Ulsoor Lake and Sankey Tank. 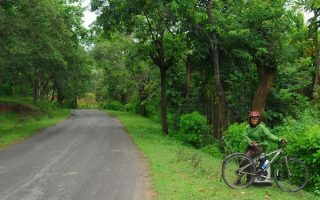 For some longer roads/paths, head to the Decathlon Trail, Hennur Trail, or Nandi Hill. 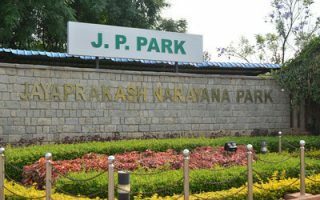 Join other runners at the publicly accessible track at Kanteerava Stadium, or take a jaunt around the pleasant grounds of Bangalore University or the GKVK Campus. Note: Some parks and other running spots might require a modest admission fee. Always bring a little bit of $. Bangalore has grown quickly in recent years and suffers from serious traffic congestion. The newly opened metro system, called Namma Metro, has north-south and east-west lines and continues to be expanded. The bus system is also good, if heavily used. At 300 acres, this wonderful green space is known as the 'Central Park' of Bangalore. A popular spot for running, with wide avenues, paths, and interesting sites. Can put together 5-7 km within the park. Bonus: closed to traffic before 8am and on Sundays. 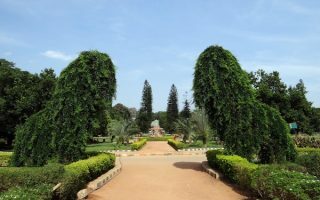 Gorgeous botanical gardens in the southern part of Bangalore, easily reachable by metro. Lovely walking paths through the gardens, around a lake, and rocky surfaces for uphill runs. 5-6 km of paths. Free early mornings & evenings. A pleasant, park-like spot, popular spot for running owing to the path around the lake. There is a dedicated path on the western side of the lake for about 1.5 km. One can go around the whole lake, 3 km, with a couple of sections on the road. This former drinking supply for Bangalore has in recent years been turned into a pleasant park with walking paths. There is a dedicated walkway that covers 1.6 km (1 mile), but not the entire circumference of the lake. One of the nicer green spaces in northern Bangalore for running. There are numerous paths, including a marked jogging circuit of 1.9 km (1.2 miles). The pleasantly landscaped park includes a rocks park, musical path, and a small lake. The University of Agricultural Sciences campus is very pleasant for running, with paths winding through botanical gardens and numerous other growing areas. Tree-lined roads are relatively quiet for running, too. 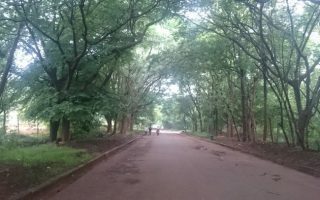 The campus of Bangalore University has pleasant grounds that make for decent running. Within the campus, one can put together non-overlapping route of 2-3 km. It's quite green, with good public transport access. A good off-road running option in the Sarjapur area of Bangalore, near the Wipro offices. Behind the Decathlon Store, a trail runs along the unnamed road for several km. It's quite green and a respite from traffic. Stop into the store for more trail info. 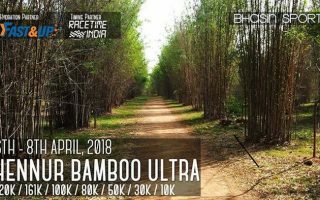 One of the best opportunities for a longer off-road run in the Bangalore area. The dirt path in the woods is lined with bamboo and other trees. It is possible to run for up to 12 km one-way. Location of a popular ultra race in Bangalore. Bangalore is located at 3,000 feet, so it is a bit cooler than some other cities in India, making it a little more pleasant for running. Still, it’s warm to hot at all times of year, although in the winter months, nights are pleasantly cool. The hottest months are March-May, with high temperatures in the 32-34C (low 90sF) range. In the cooler months, high temps are in the 27C (81F) range. Precipitation is monsoonal, with the wetter months of May-October, and very little rain in the drier months. Humidity is not as high as elsewhere, owing in part to the altitude. Bangalore is a huge city, and as the ‘Silicon Valley of India’, a major business/travel destinations with many corporate offices. There’s a large selection of hotels and a good number of business class hotels. From a runner’s perspective, we recommend trying to stay near one of our centrally located routes, such as Cubbon Park, Lalbagh, Ulsoor Lake, and Sankey Tank. As one of the cities in India with a growing running scene, there are several running stores in the area. The two independent stores are Running Lab, located near the Indira Metro Station, and Running 365. There are also outlets for Asics, Nike, and Puma. See the overview map on the Bangalore home page. Group Runs. There aren’t really group runs from the stores or running clubs, but there are some meetups. Bangalore Loves Running is a good one.